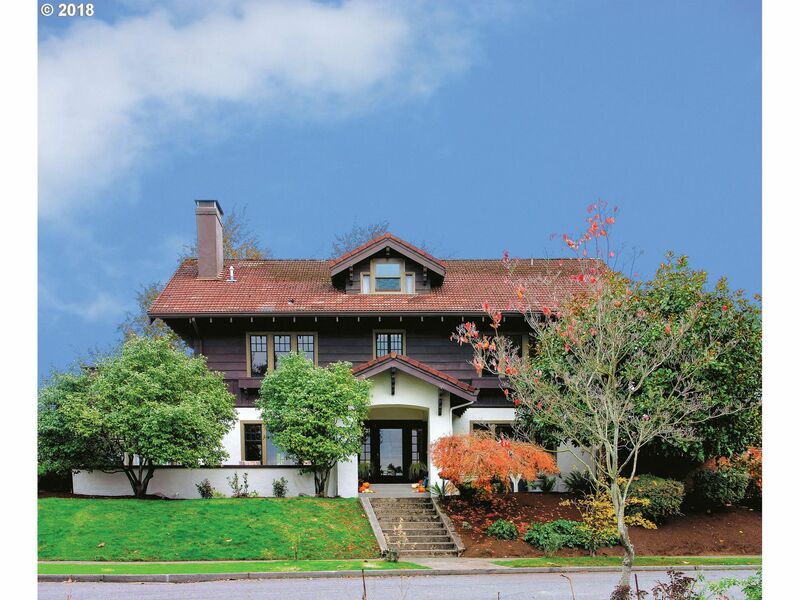 Close in NE Portland features many established and up-and-coming neighborhoods. 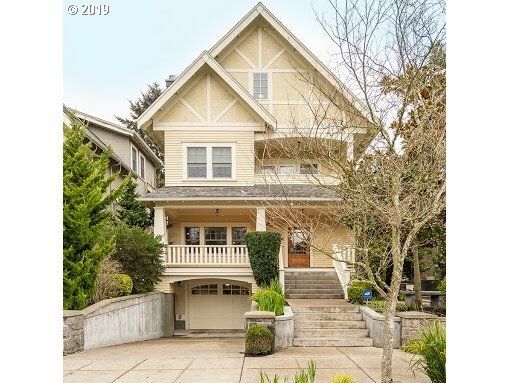 Some of the close-in neighborhoods include Laurelhurst, Alameda, Beaumont, Sabin, Concordia, Grant Park, Irvington and Piedmont. These neighborhoods are growing in popularity. Homes in this area are likely to be a great investment over time. 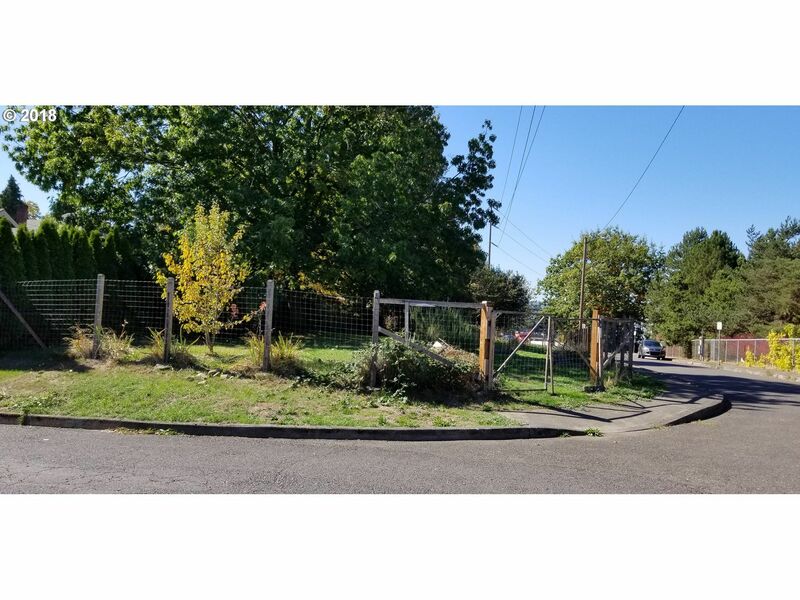 When you are ready to purchase a home in close-in Northeast Portland, call Brian Porter. 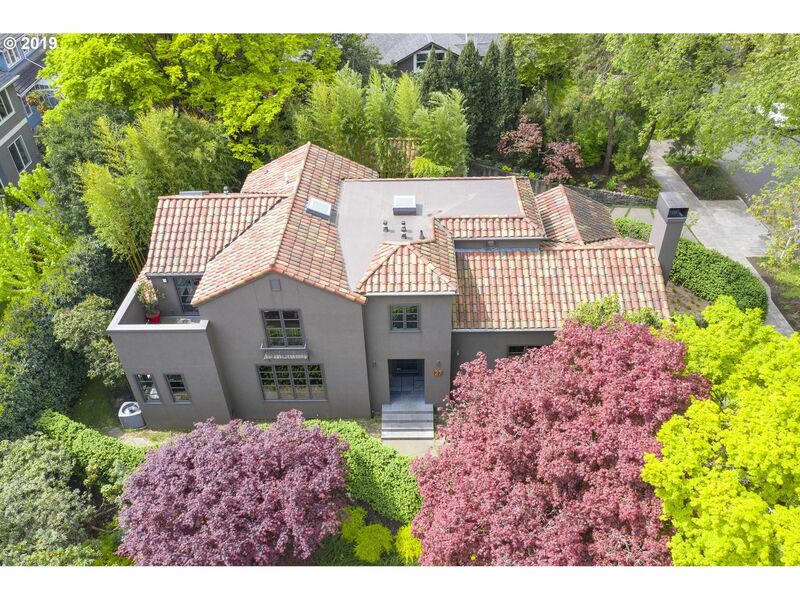 As a Portland REALTOR since 2003, Brian Porter can help you find the right home for your lifestyle. The demographic trend in Portland is to live close to downtown where you can ride your bike to work or take public transportation. Close in NE Portland is filled with neighborhood shops, restaurants, boutiques, coffee shops and bars. This area is very walk-able, very urban and very hip. 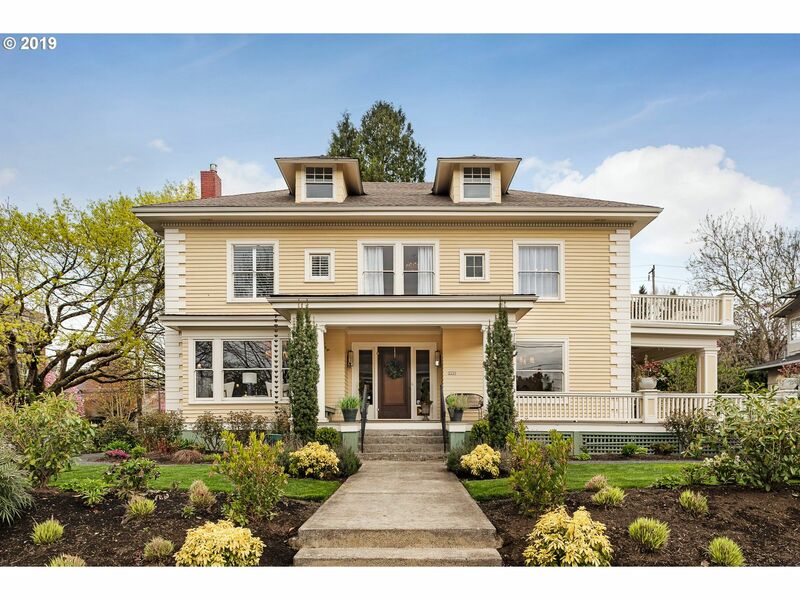 NE Portland mixes convenience with beautiful old homes. No wonder home prices in these premium neighborhoods are so high. Brian Porter knows his way around Portland well, having lived and worked in many of our fair city's local neighborhoods.You can benefit from his knowledge of the area. He can also help to simplify the otherwise daunting process of looking for a new home. 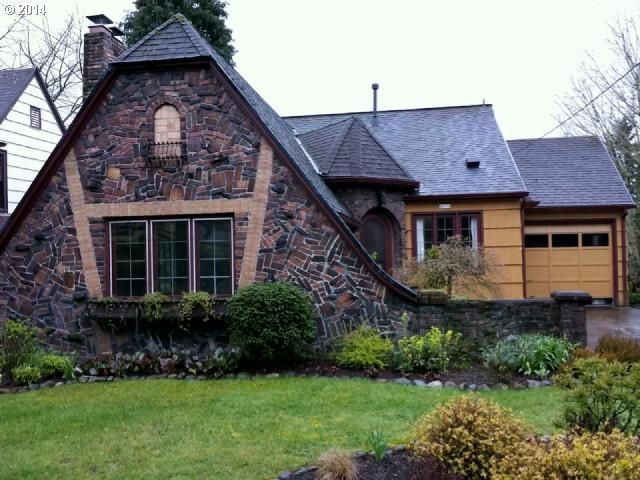 Start with our online search, and browse through the current MLS listings for Portland real estate. When you find something you like, call Brian Porter to schedule an appointment to go look at the property. If you're enthusiastic but you don't see your dream home at the moment, let us watch the MLS listings for you. 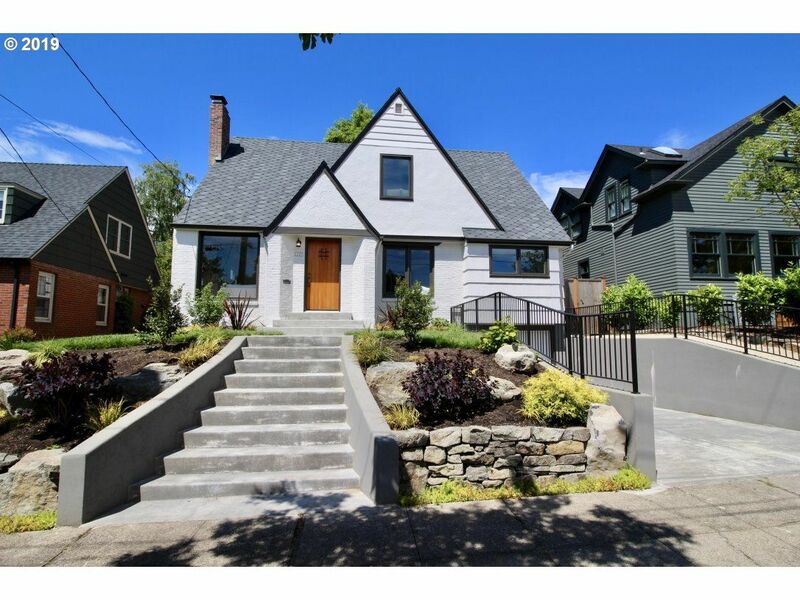 If you would like, I can set up an automated email program that will notify you when a close in NE Portland home for sale comes on the market. The market is moving very fast right now, and the best houses are selling in just a few days. Let me know if I can be of service. 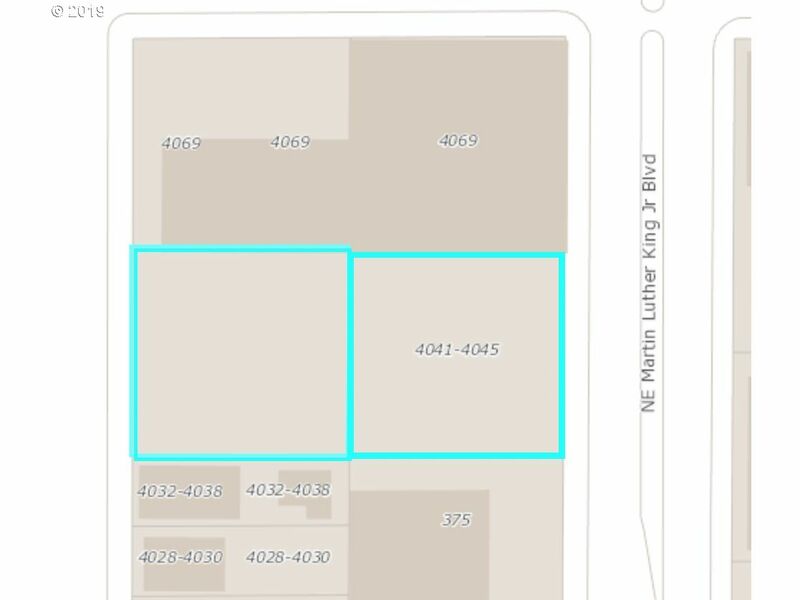 Development opportunity in high demand location in the King Neighborhood and MLK Jr. Corridor. This is a 2 parcel sale consisting of tax lots R102906 & R102914. Accessible from NE MLK Jr. Blvd. and NE Garfield. Develop as 1 or keep as 2 separate parcels. RH zoning= high density multi-dwelling zone. 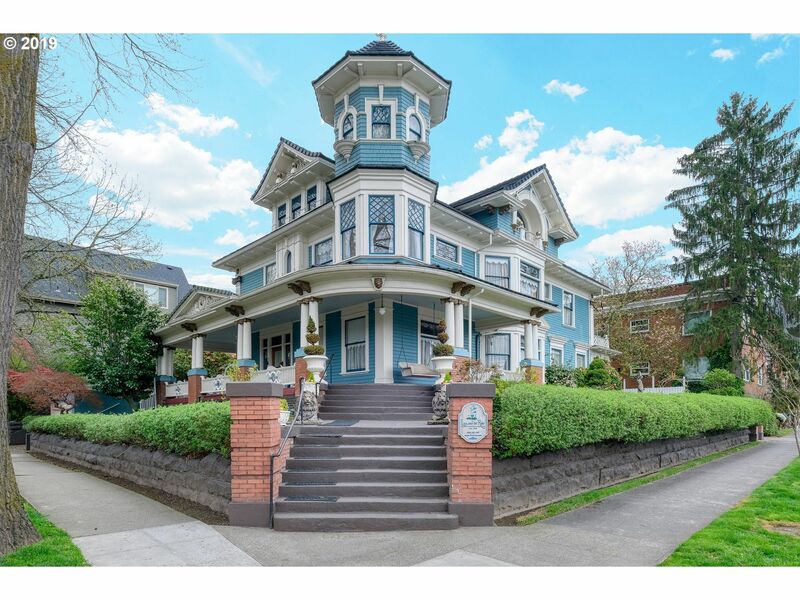 Awesome opportunity to own a fully furnished Victorian Bed and Breakfast, or convert into condos or live in this amazing, Historic Irvington mansion. Master suite on main attached to office w/private door and plumbed for kitchen. Open concept loft w/full bath is also plumbed for kitchen. Basement apartment w/full bath, laundry, kitchenette, access to main kitchen and private entrance. Visit https://lionrose.com for more information. Developers (4) 50 X 100 lots, zoned R-1. May become RM-2 allowing greater density. As R-1 build 24 or more units, as RM-2 possibly 40, 000 sqft building, great for Micro units. Geotech Engineering completed, utility pole negotiated to be moved. City & ODOT are open to vacating Halsey St to add approx 3, 750 sqft, paved road & more value. Best multifam lot in neighborhood. Block 41 Laurelhurst, in Hollywood Planning Distict. TERMS AVAILABLE! 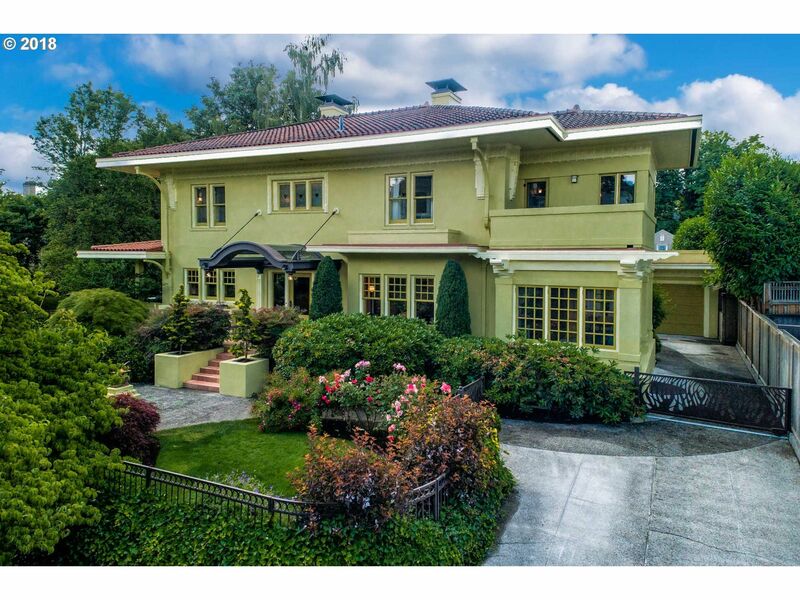 This 1912 historic Irvington home masterfully unites two Portland Icons! Designed by John Virginius Bennes (Hollywood Theater) & perfected by TInker Hatfield (one of footwear's most innovative minds). This 5, 616 sq ft Prairie Style home w/ Italian Renaissance detailing features: 5 bed, 3.5 baths, modern kitchen w/ breakfast nook, sunken den, formal dining room, study, impressive family and 2nd full-service kitchen. 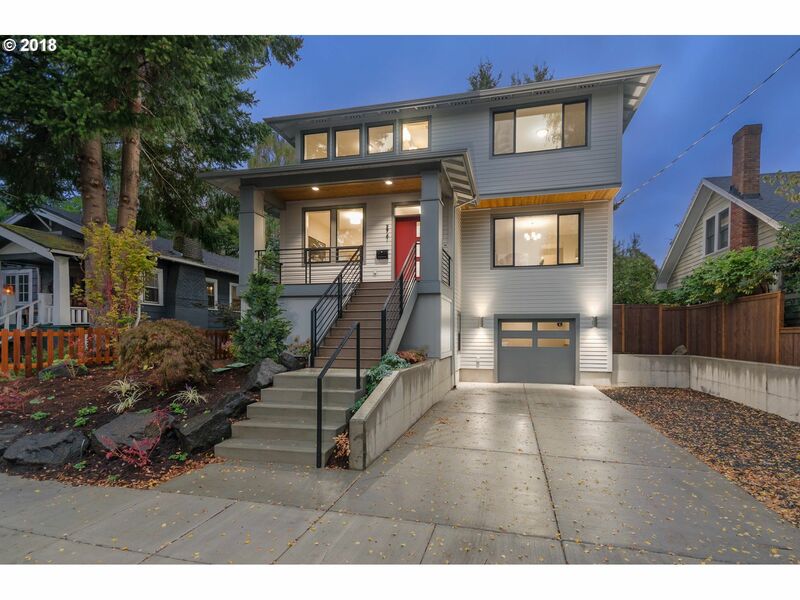 Bold and dramatic this extraordinary, gorgeous Laurelhurst classic, decorated with an inspiring contemporary flair, offers a gracious flowing floor plan w/extreme quality throughout. A gourmet's dream, the kit/DR combination offers a huge island with SS appliances and walls of storage, with floor to ceiling french doors that open to the private entertainers patio. This timeless classic with extraordinary panache will steal your heart! 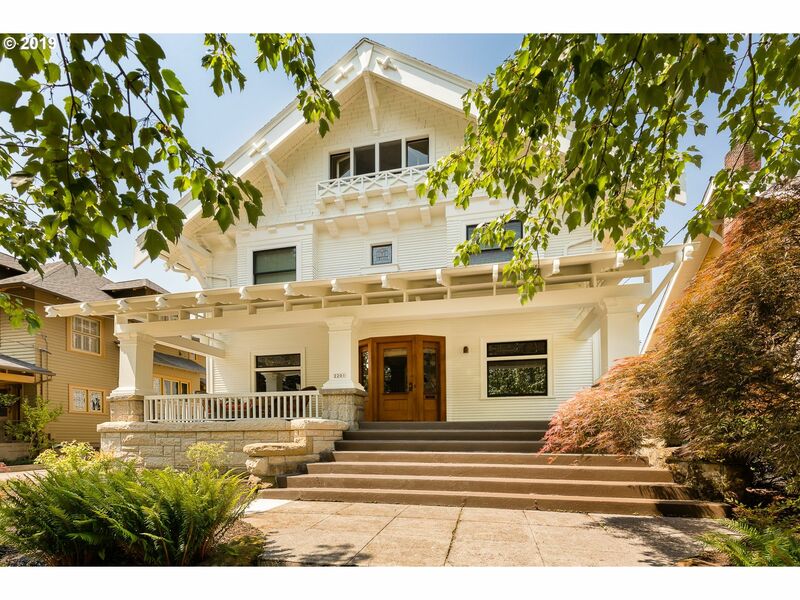 Breathtaking views from this 100+ yr old home nestled atop Alameda Ridge! 5bd, 4.1ba & 3800+sqft of exceptional living space. 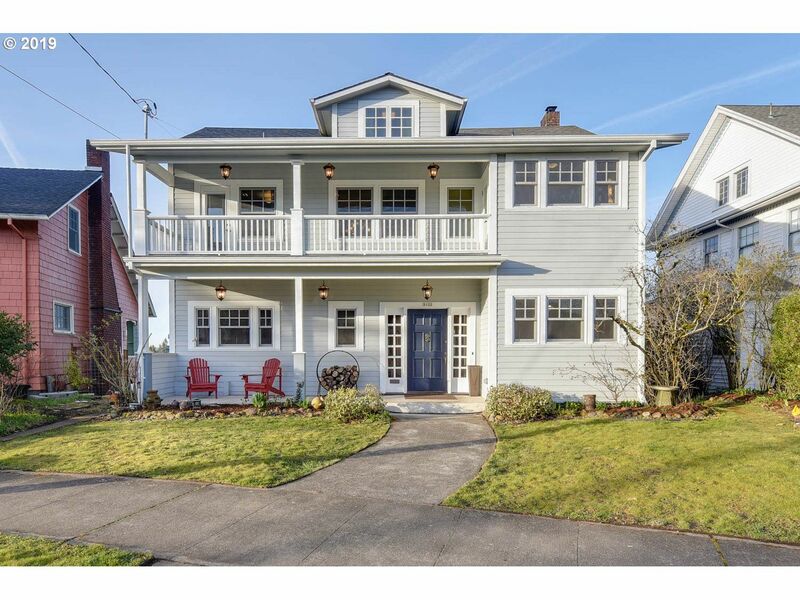 Remodel in '09 w/ custom Brazilian Cherry floors w wenge & ash inlay, gorgeous kitchen w/ ovrsizd island, & balcony access from every 2nd flr bedroom. The terraced backyard will remind you of the Secret Garden, perfect to feel like you are not in the city & did I mention sunset views?